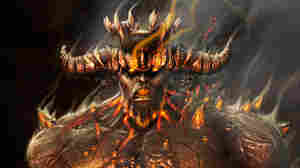 February 9, 2010  An epic journey through nine circles of fiery hell filled with monstrous beasts and condemned souls — Italian poet Dante Alighieri didn't know it at the time, but in the 14th century, he mapped out a pretty sweet video game. Some Dante scholars are a little miffed. 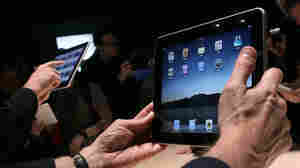 January 28, 2010  Apple computer has unveiled its new iPad tablet. CEO Steve Jobs said the device is better for reading books, playing games and watching video than either a laptop or a smart phone. The first iPads won't hit the market for two more months. 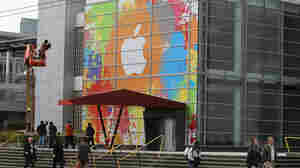 However, Apple has released a software development kit so that other companies can create new applications. January 27, 2010  Apple CEO Steve Jobs unveiled Wednesday the iPad, a much-anticipated tablet-style computer that looks like a larger version of a iPhone. 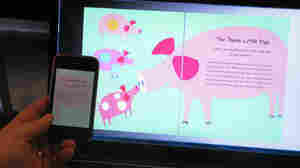 The device allows users to surf the Web, watch videos and read e-books. January 27, 2010  We are live blogging the Apple event. January 26, 2010  Holiday sales led Apple to its most profitable quarter ever. The new earnings statement was issued in advance of Apple's big announcement expected on Wednesday, and is rumored to be a tablet computer. While tablet computers are a small fraction of computer sales, many companies are selling or plan to sell tablets in the near future. 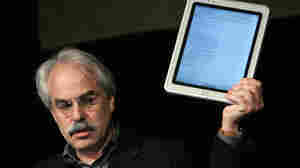 January 25, 2010  Apple is launching a new product, widely thought to be a tablet computer, this week. But it would be entering a crowded market. While tablet computers are a small fraction of computer sales, many companies are selling or plan to sell tablets in the near future. January 14, 2010  There has been an outpouring of charity for the victims of Haiti's earthquake. Donors in the U.S. are responding more quickly than they ever have before — via their cell phones. This is the first time large numbers of Americans are giving donations by text message. In other countries, it's been more common to donate this way. According to the Red Cross, more than $4.7 million has come in through text-message donations to date — and they are expecting that number to keep growing. January 13, 2010  After attacks originating in China targeted Gmail accounts belonging to Chinese human rights activists, Google has announced that it will stop censoring results on the Chinese version of its search engine and may pull out of the country entirely. January 8, 2010  The annual Consumer Electronics Show is underway in Las Vegas — think of it as a gadget fest. Technology companies are showing off their latest TVs, computers, cell phones and related gizmos. January 7, 2010  In an interview with NPR, Microsoft's CEO downplays the market for tablet PCs. But what's really behind Steve Ballmer's coyness? January 6, 2010  I watched a demo of Blio this afternoon and I was impressed. 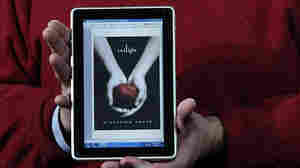 eReaders like the Kindle and the Nook only let you see the book in black and white. Blio brings back the color. January 6, 2010  ESPN announced it is going to begin broadcasting some games in 3-D. The move is months away and it seems there are still details to work out. Discovery Communications, Sony Corp. and IMAX Corp. also announced a joint venture established to develop the first 24/7 3-D television network in the U.S.
January 4, 2010  A reporter managed to get her hands on Google's much-rumored Nexus One Android phone. The verdict: It's a likable, competitive alternative to the iPhone. January 4, 2010  Google is set to launch its much-anticipated phone at the Consumer Electronics Show on Tuesday. The phone, believed to be called Nexus One, has generated buzz ahead of the show in Las Vegas.